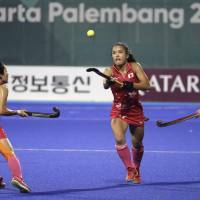 JAKARTA - Sakura Japan set a lofty goal of winning gold at the 2020 Tokyo Olympics, and Friday’s victory will certainly help give the team momentum and confidence to do so. 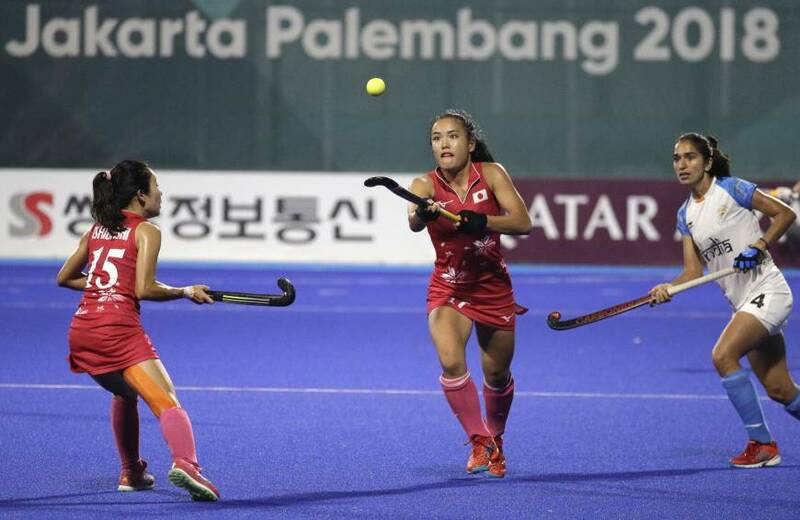 The women’s field hockey team captured its first-ever Asian Games title with a 2-1 win over India in the final. With the game tied at 1-1, Motomi Kawamura scored a game-winning goal off a penalty corner late in the third period. Japan managed to preserve the lead the rest of the way and edge Asia’s top-ranked (world No. 9) team. Japan had two penalty corners in the entire game and capitalized on both for goals. India had more chances, making a total of 10 shots, including penalty corners, while Japan had five. But Japan wound up claiming the title. Neha Goyal scored India’s lone goal, which came in the second period. Japan advanced to the gold- medal match in the 2006 edition of the Asiad, but fell to China 1-0. India was seeking its first gold medal since 1982, when the sport was introduced in the games. Sakura Japan has been to the last four Olympics and has finished as high as eighth (2004 Athens). At the Tokyo Olympics, the Anthony Farry-led team will aim to stand on the highest point on the podium. The Aussie coach said the Asian Games gold is “massive.” His team beat China, South Korea and India, who are all placed above Japan in the world rankings, to achieve it. Farry did not necessarily think his squad played a perfect contest but credited his players for coming out on top. Japan is currently ranked No. 14 in the world and appears to be a long shot to realize the result it wants in 2020. But Farry said that the Netherlands, the globe’s No. 1 team, is “a step above” but “all the teams for No. 2 to about 16 or 17” are close behind. Naito emphasized that Farry has brought a significant amount of positive influence to the team since he took over as coach in May 2017. She said that Farry has taken the approach of letting his players freely express what they think is good for the team, instead of instructing them what to do one-sidedly. Shimizu said that the team had publicly stated it would shoot for the gold medal at the Tokyo Games, and that winning the Asiad title is just “a passing point” for Sakura Japan. “We would like to keep working hard, not being satisfied with this,” she said. Japan finished fifth at the 2006 Women’s Hockey World Cup.